Dr. Paul Yushkevich is an associate professor in the Department of Radiology and a member of the Bioengineering Graduate Group. His research focuses on developing novel computational methodologies for the analysis of biomedical imaging data. Dr. Yushkevich is particularly interested in analysis techniques that are tailored to specific anatomical structures. His key work in this area involves automatic segmentation and morphometry of the hippocampal formation (HF) in magnetic resonance imaging (MRI). The HF plays a central role in memory function and is a site of early neurodegeneration in Alzheimer’s disease. 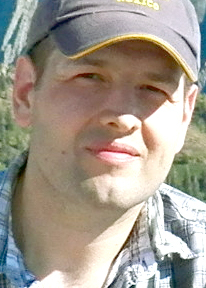 Dr. Yushkevich holds a Ph.D. in computer science from University of North Carolina Chapel Hill.